In June we held our second annual Family Fun Day. A family night centred around chocolate was organised on the lead up to Easter. 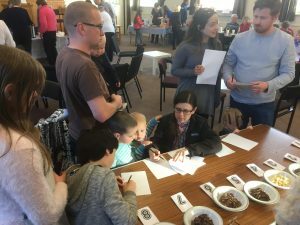 It included quizzes, games, crafts and competitions all chocolate related of course. Refreshments including many different kinds of chocolate cake gave everyone a chance to socialise. Invitation to these events is not limited to those of the church or who attend our many groups but for all families in the area. Please check the events calendar to see if there is anything happening that you would like to join in with. 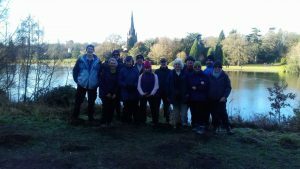 A group of us blew the cobwebs away taking a bracing walk around Clumber Park lake on Monday 2nd January. It gives us all a great opportunity to talk as we walk and catch up on things in general. Walks are organised throughout the year.